The walls of the walkway down to the keep's main entrance are still unattached at this point. 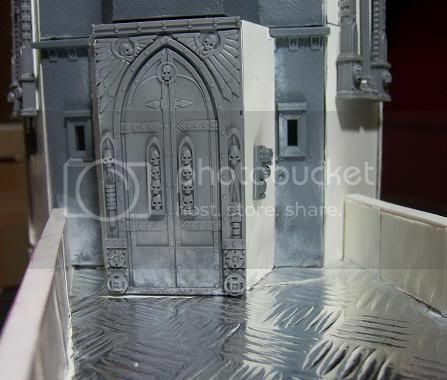 How else am I ever going to get to that door with a paintbrush right The one thing I regret is that the pics don't show of the textured undercoat of homebrewed to give the foamcoat a similar structure as the GW sprues. 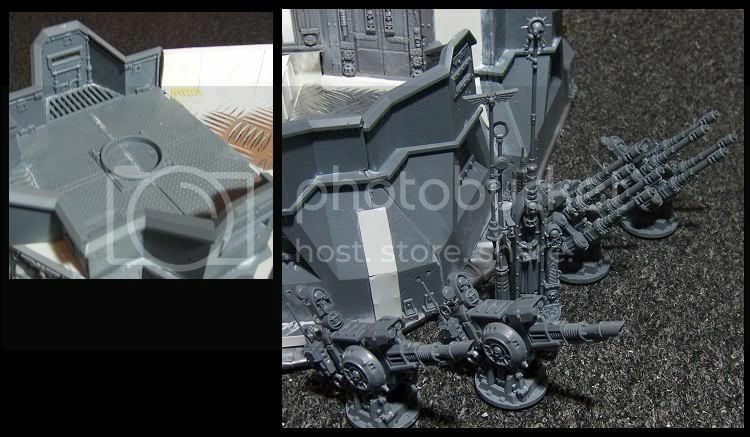 That and all the plasticard support struds with punched rivets are tough to spot as well, nothing a paintjob won't cure of course! 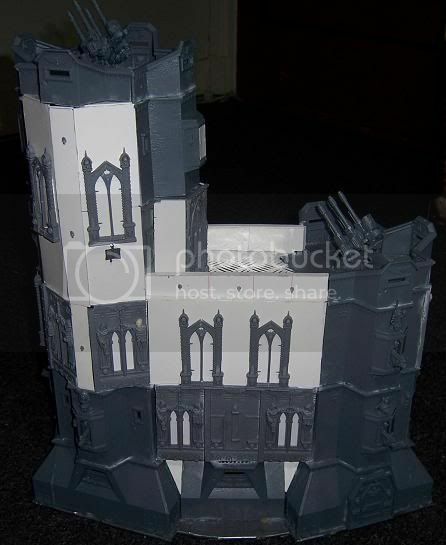 Something I hope to get started on once I finish my thunderfire cannon and subjugator assault squad. - textured metallic, sticky sheet...uhm stuff. No idea where this is used for normally. 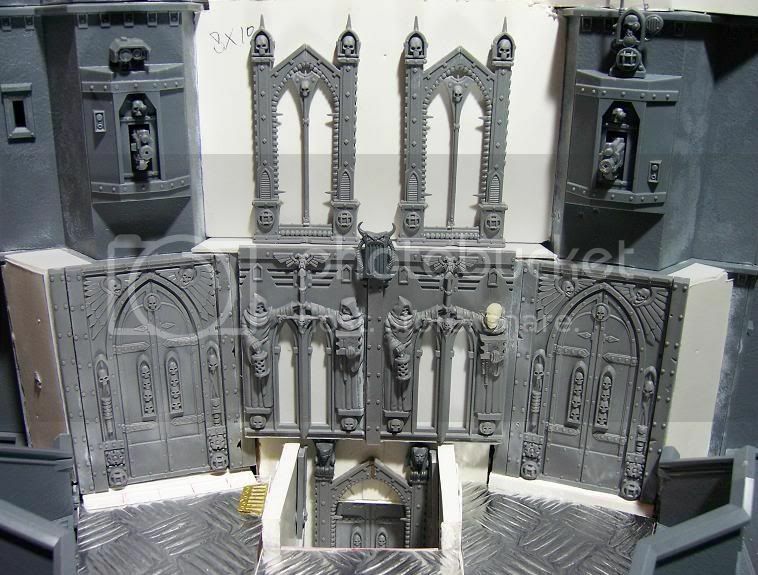 Looks really impressive cant wait to see it painted. 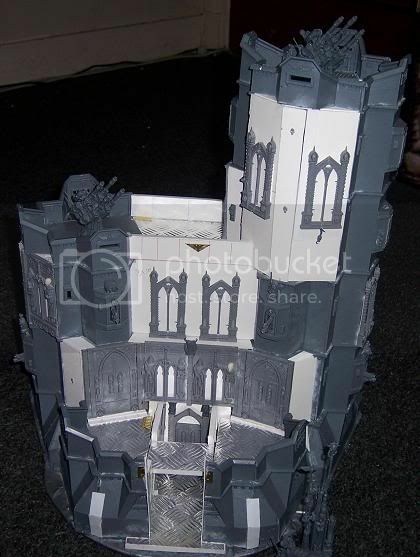 What an awesome piece of terrain! 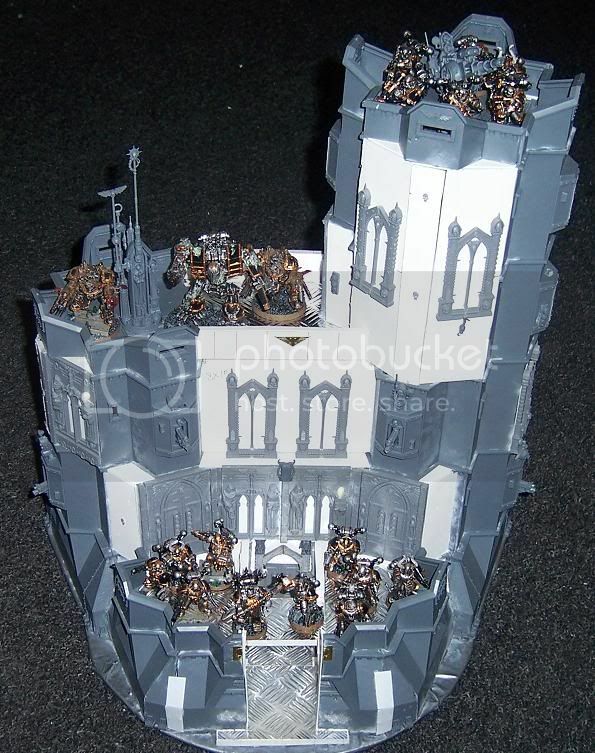 When are you getting this thing painted, Heph? 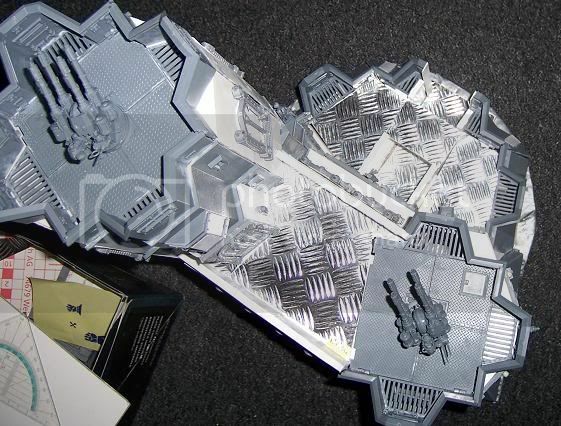 Goddammit that is one FINE looking piece of terrain! NICE I can't wait to see it painted looks like an old apartment building I used to live in when I was in New York City.